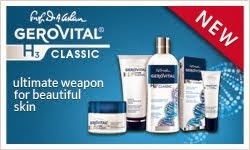 Choose your favorite Gerovital product on sale at www.markastore.com - our partner Gerovital Romanian Shop. More than 100 products on sale. Safe packaging in strong cardboard boxes.